KTM’s India range was recently joined by the new 2017 250 Duke which came as bit of a surprise. The motorcycle was primarily introduced to bridge the huge price and performance gap between the 200 Duke and the 390 Duke. The motorcycle gets a 1290 SuperDuke inspired design which is also seen on the new 2017 390 Duke. The 250 Duke, however, unlike almost all other 2017 KTM models, does not boast a full LED headlight. The only other 2017 model from the Duke range of motorcycles which misses out on a full LED headlight is the 200 Duke. The Austrian quarter-litre also misses out on the new TFT display which is seen on the 390 Duke and ABS. 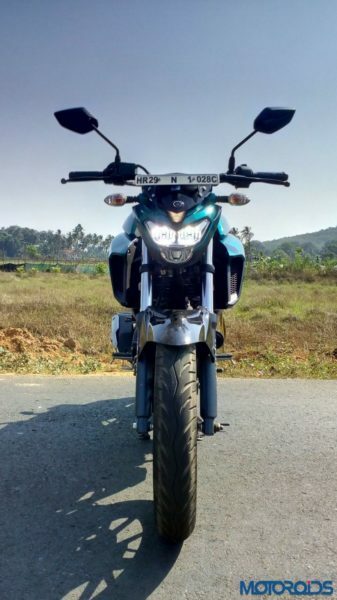 The 250 Duke does feature LED pilot lamps and benefits from a PASC antihopping clutch, or a slipper clutch. This one is a sharp motorcycle, not only by looks but also in terms of handling. 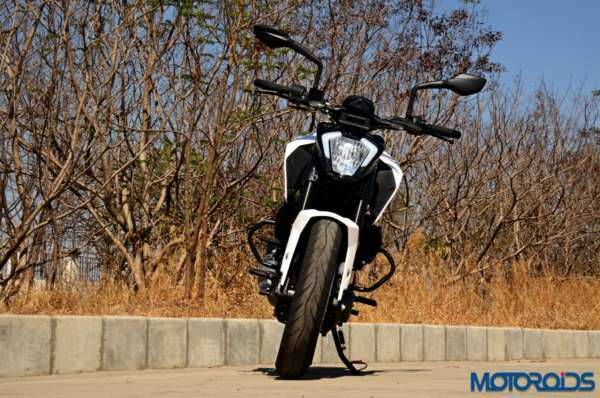 The motorcycle has a shorter wheelbase than the 200 Duke which makes it more agile and changing directions is relatively effortless. The suspension setting too is tuned to be softer and more pliant. The new, well padded seat also aids comfort greatly. The engine isn’t as heady as the 200 Duke and this one here is relatively calm in nature with a meatier mid-range. 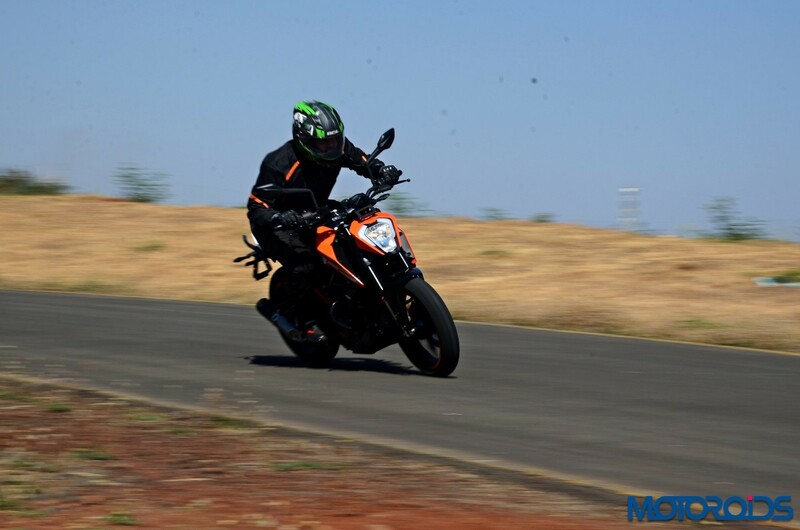 Similar to other KTM Duke series of motorcycles, the quarter-litre model too is loaded with premium hardware such as the upside down forks upfront, a potent 300mm disc and a steel trellis frame. The engine is pretty powerful too for the segment, delivering 30 PS of power at 9,000 rpm and 24 Nm of torque at 7,500 rotations. 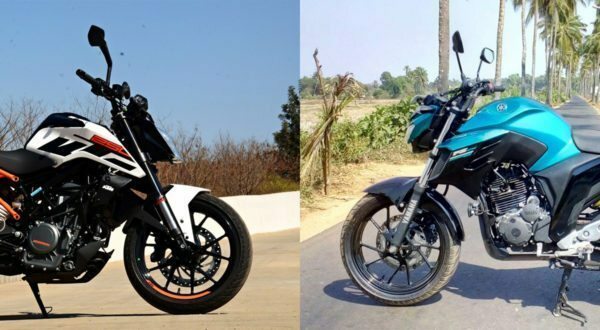 On the downside, at 161 kg (kerb), the KTM tips the weighing scale on the higher side, especially against its direct rival, the FZ25. The FZ25 also scores brownie point for the full-LED headlight with all time running function. 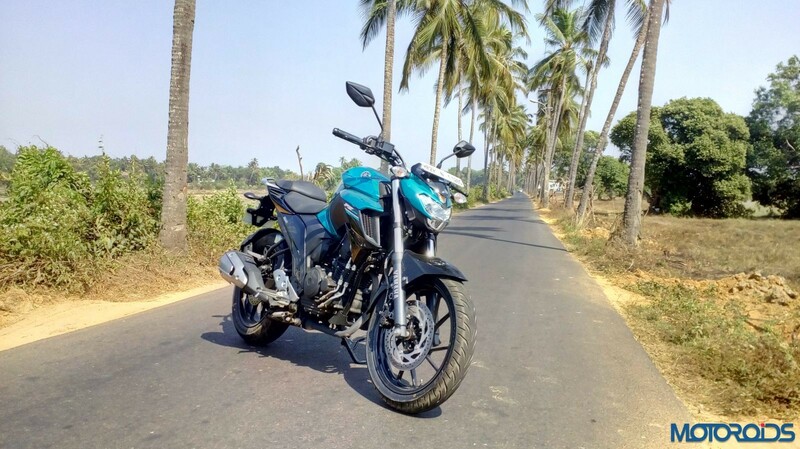 The Yamaha is the third motorcycle to enter the sub-500cc segment with a LED headlight setup after the Bajaj Dominar and the KTM 390 Duke. The FZ25, on paper, lags in terms of performance numbers but the relatively lighter bodyweight helps it perform well. So while the 249cc single-cylinder, 4-stroke, SOHC, Air Cooled engine puts out 20.9 PS of power at 8000 rpm and 20 Nm of torque at 6000 revs against the KTM’s 30 PS and 24Nm, the motorcycle with the three tuning forks logo still manages to clock almost the same speedometer indicated top speed as the 250 Duke. Both motorcycles feature a massive 46T rear sprocket which endows them with great acceleration off the line. The Yamaha, however, despite a relatively lesser power and torque output, is almost as quick as the KTM. The suspension setup on the Yamaha is tuned for better undulation absorption than the KTM which is a tad more oriented towards cornering. Visually, for us, the KTM scores well with its minimalist approach towards the design, revealing its mechanical bits and that bolted steel-trellis frame. It brings the big 1290 SuperDuke design in a more accessible segment which is a massive USP for the motorcycle. The Yamaha, on the other hand, has too many thing going around the design which is a bit too flashy for our taste but we’re sure it’d get the same reception as the first and second generation FZ series motorcycles which have been around for over nine years now. The Yamaha does not pack a feature rich spec sheet. So you’d notice a few price saving bits such as the conventional front forks, non-LED blinkers, absence of slipper clutch and relatively smaller front disc brake. The lack of features, however, does help the Yamaha. How? 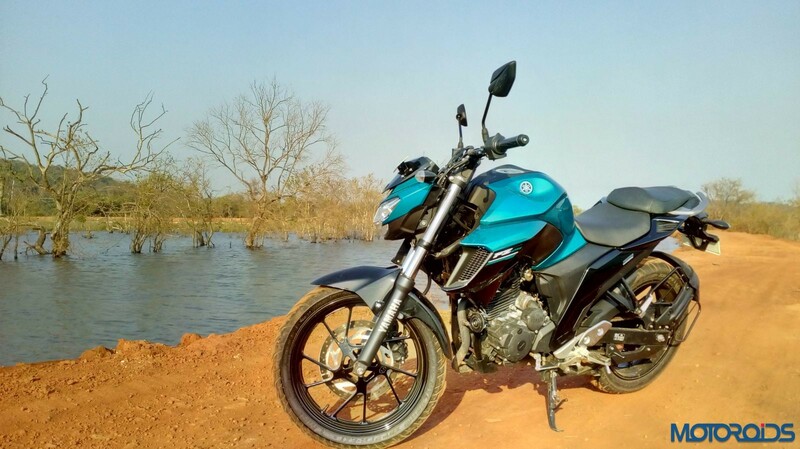 The relatively conventional hardware has helped Yamaha price the FZ25 at a highly competitive tag of INR 119,000 (ex-showroom Delhi). 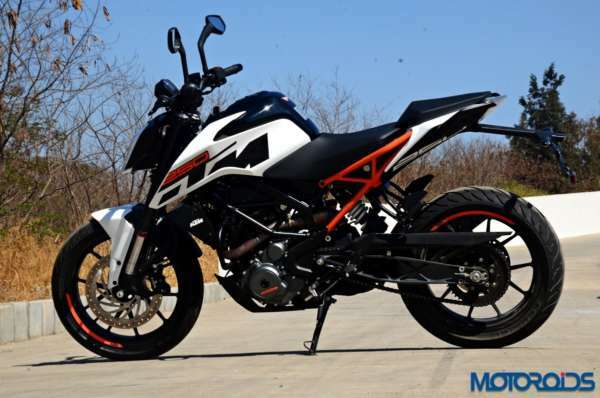 The KTM, on the other hand, has been priced at INR 172,000 (ex-showroom Delhi). For the premium price, you get one of the most well built motorcycles in the sub-500cc space, a premium list of hardware such as the upside down forks, a really potent braking system and a slipper clutch. But for that difference, you’d still be going at the same speed, accelerating at the same pace and, with the absence of any fairing or windscreen, probably cruising at the same speed. So who is the Lord of the quarter-litre single cylinder space? To be honest, they are so different and unique in their own ways that we really could not select one winner. Folks who are relatively held back on budget can opt for the Yamaha. 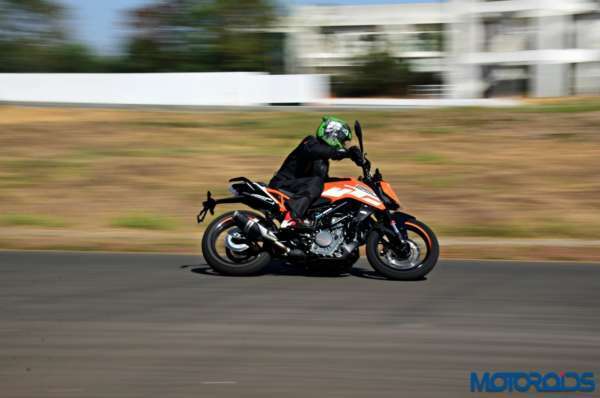 It has the pace and the acceleration that’d keep the rider involved and entertained. The addition of LED headlights gives it an upper hand but the lack of premium hardware is a bit of a turn down. The KTM, on the other hand, looks like a proper hooligan, and it can do all the things that you’d throw at it and if budget is not a constraint, this one is definitely worth considering.